You can tell a lot about what consumers are thinking by playing a bit of word association – what thoughts, feelings and ideas link together in their individual heads. Then look at this in aggregate – using social media monitoring tools like Sysomos – and you get a snapshot of what’s on their collective mind. The example above is pulled from research done by the Digital Influence Group. 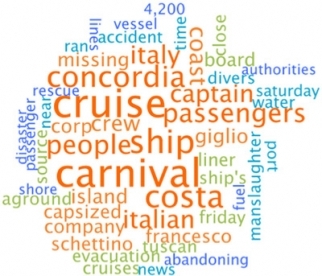 It shows a “2 weeks before” vs. “2 weeks after” view of web chatter linked to the Costa Concordia disaster. 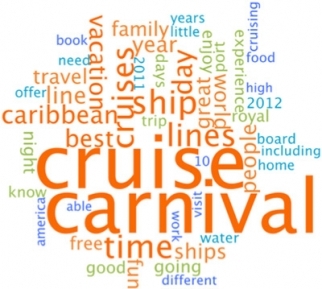 Note that the explosion of negative press transformed the consumer narrative around cruising in general, and Carnival in particular, from good to bad. And industry sales have plunged 10%-15% vs. year ago. Moral of the story – yet more proof that bad press is bad for business.